the geordie times online (newcastle united archive fanzine): "WEAZE KEYZ ARE THEAZE!"? 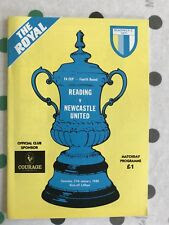 On this day 29 years ago NUFC played Reading away in the FA Cup at Elm Park! A classic match report on that game iz printed below!